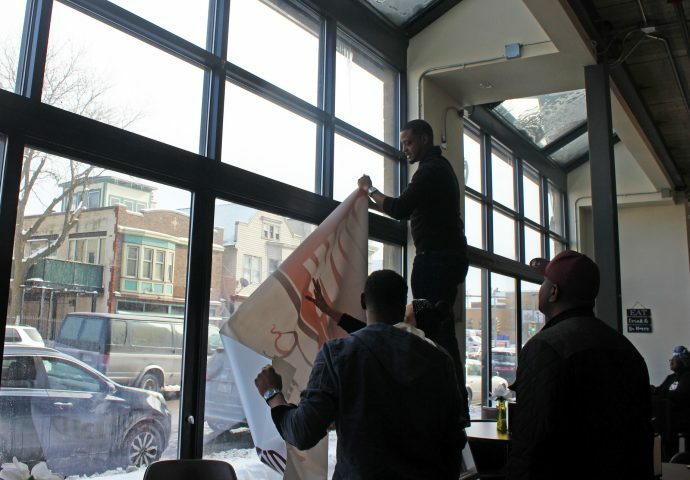 Friends of the owners help install a temporary sign in the cafe's window. 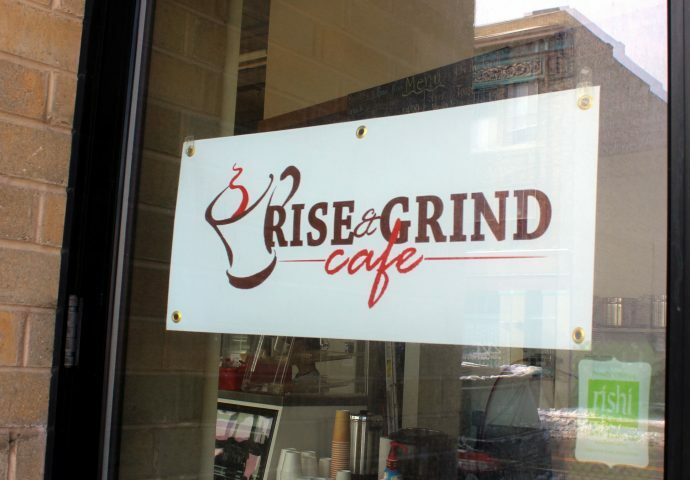 Patrons at the new Rise and Grind Café look on as a temporary sign is installed. Cozy café decorations adorn the venue. 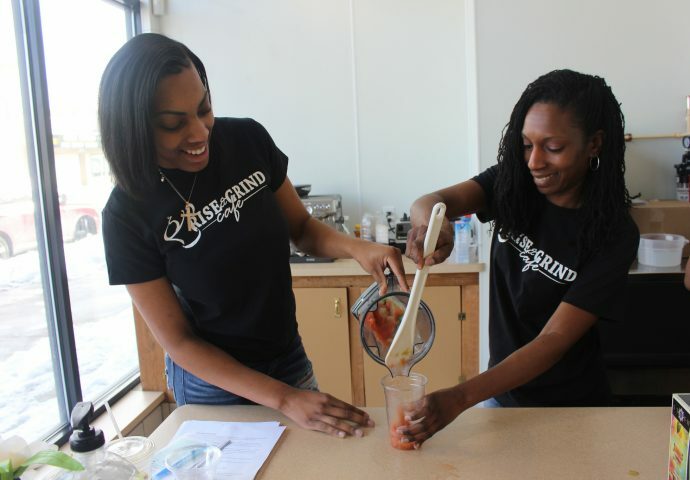 Carina Hightower (left) and her daughter, Larina Hightower, pour fresh smoothies for customers. 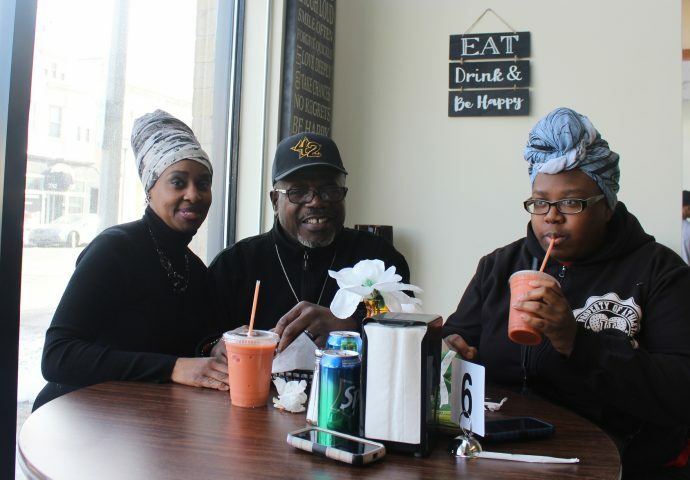 The Willis family, Marie (left), Robert and Countess, often go to the original Rise and Grind location, and attended the grand opening to support the business. 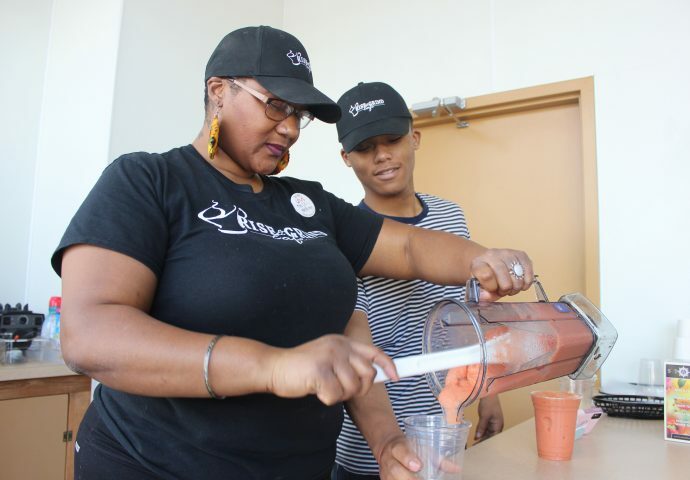 Shantae Peace (left) and her son, Isaiah Peace, pour fresh smoothies for customers. 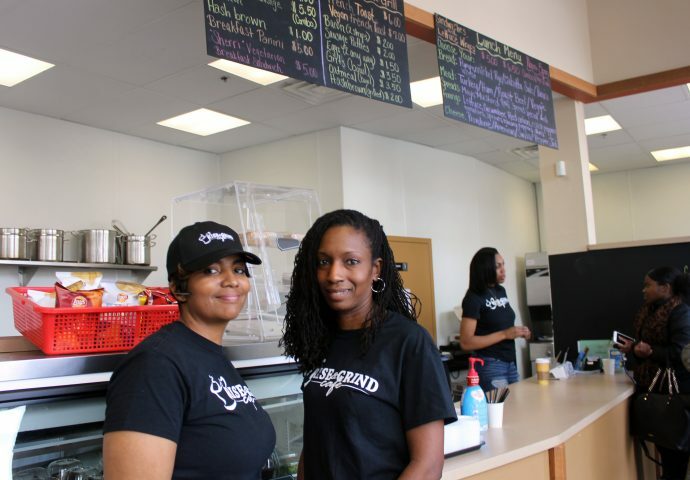 Co-owners Bobbi Tatum (left) and Larina Hightower pose at the grand opening. 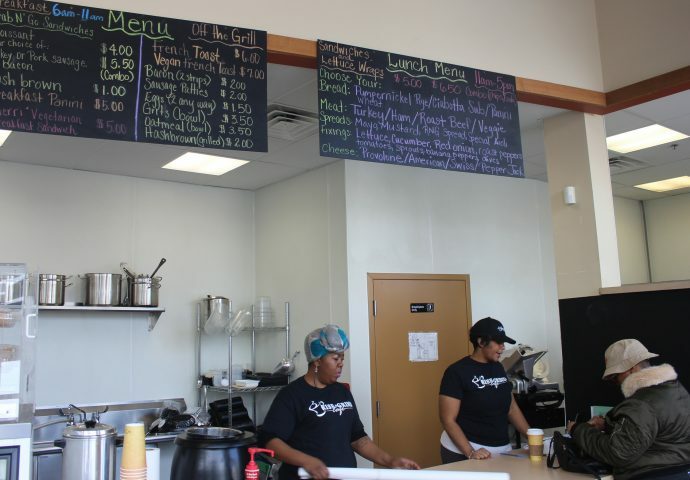 The cafe offers a large menu of deli sandwiches and many other options. 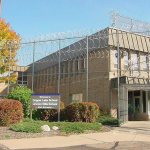 The café’s other location is at 6007 N. Teutonia. 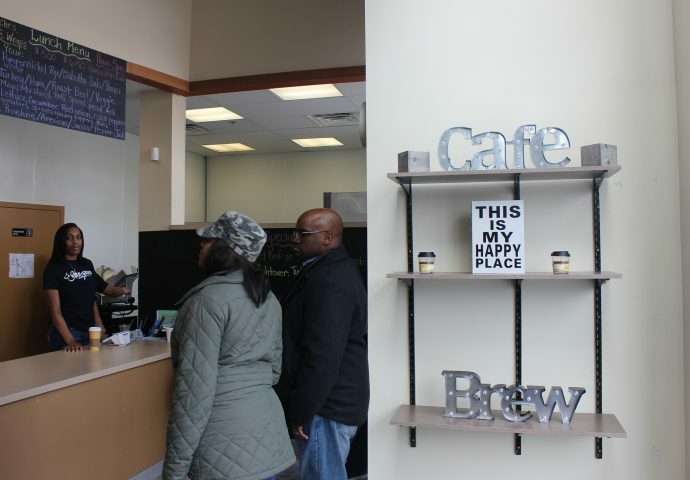 The large space, formerly the Growing Power Café, houses a deli on one side and a smoothie and espresso bar on the other. In between is ample seating for guests to look out on MLK Drive through the ceiling-high windows. Empty refrigerators line the opposite wall, which will be filled with pre-made sandwiches and drinks. 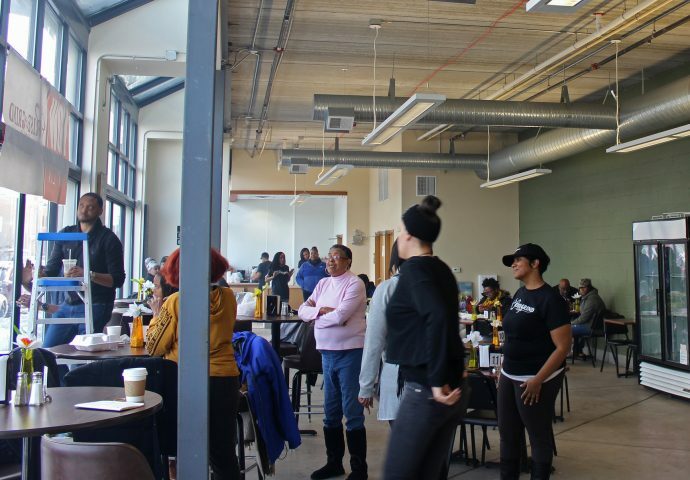 In addition to the deli and café, Tatum plans to feature a market space selling naturopathic health products, fresh fruits and veggies, and other locally sourced products. The space also includes a lounge for guests and an area for local entrepreneurs to sell their goods.